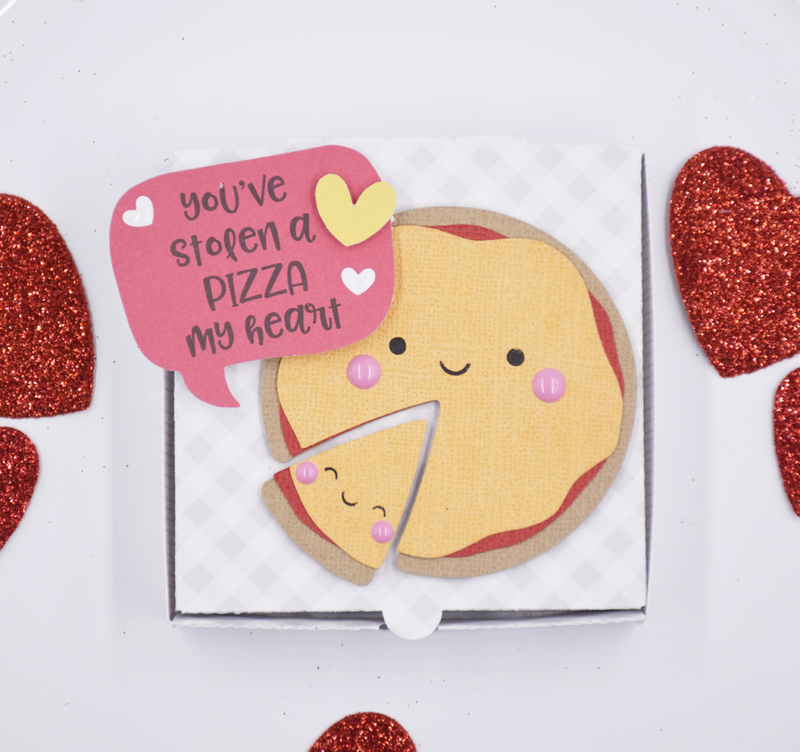 So how fun is this So Punny Collection? I adore it! 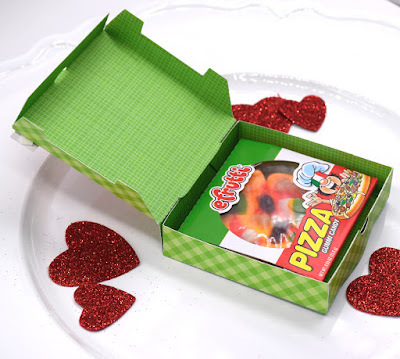 It is perfect for making Valentines- especially Valentines for kids! I thought it would be fun to make a batch of Valentine class treats using the darling Pizza icons that are now an adorable cut file! Cut files are great to use when you have to make a big batch of Valentines like for a child's class or a bunch of friends. I made the boxes from this file on my Silhouette. Super simple and quick to put together. 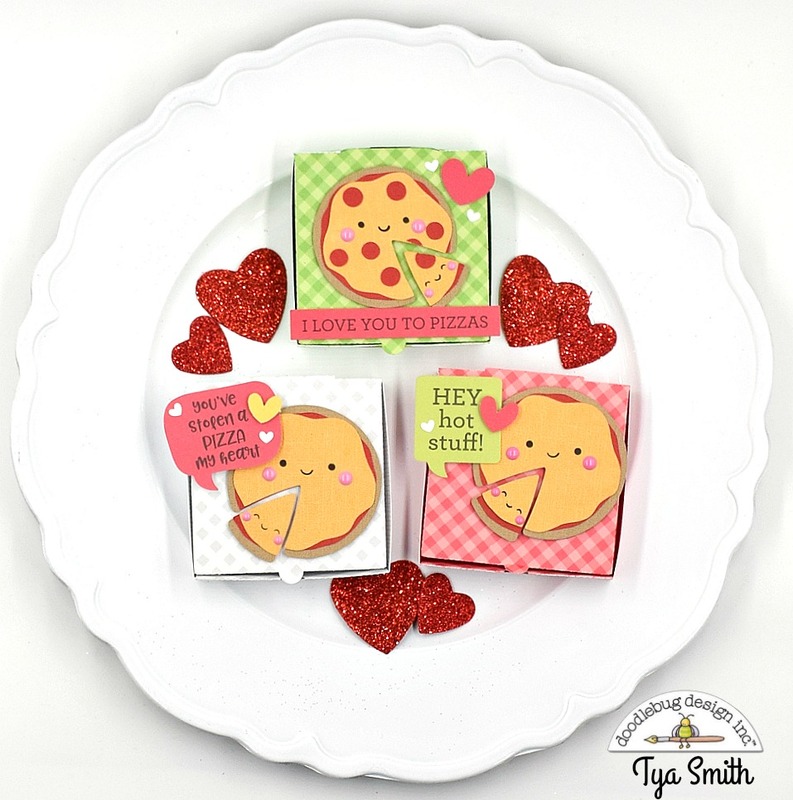 I used some Cherry , Limeade and Lily White Gingham Linen pattern paper for the box bases.The pizzas were downloaded here over on Lori Whitlock's site. I used Pizza #1 and Pizza #2. I downloaded these and opened them as an SVG file in my Silhouette program. I used some Cherry, Marigold, Maple, and Beetle Black Textured Cardstock on the pizzas. 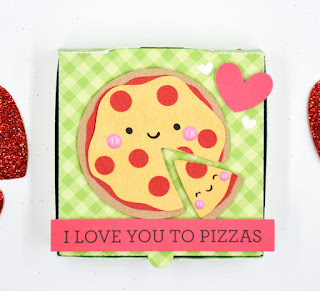 I glued the pizzas together and then added a few pink Sprinkle Enamel dots for the cheeks on the pizzas. Here are some close ups of the boxes. I decorated each on with some cute sentiments from the Chit Chat ephemera. The large hearts are also from the Chit Chat. The small tiny hearts are from the new Tiny Hearts Sprinkles. Thank you so much for stopping by today. 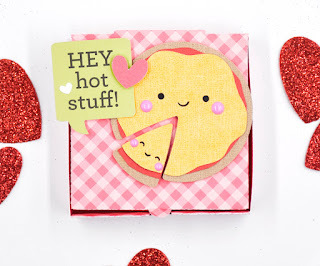 Hopefully I have inspired you to ditch those boring boxed store bought Valentines and make these little cuties with your kiddos today! Happy Crafting! Omg!! These little boxes are the cutest!!!!! Tya these are fantastic! Where did you find the pizza candy??? Such a darling idea! !